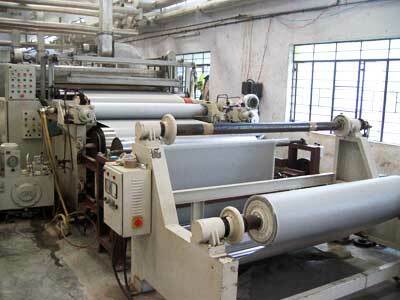 We provide Fabric Coating Services for various purposes. We have complete integrated state of art German Coating facilities for high quality coating for various applications and different coating methods. We have well equipped laboratory and testing facilities to support our sophisticated technological innovations. We offer Custom Coating Facility from 5 GSM to 1000 GSM. We can do single as well as double side coating. We can process up to width of 90âï¿½ï¿½âï¿½ï¿½ on our machines. In case of bulk order, we can provide fabric along with coating. We also have dip coating facility available for various coating applications. We can do coating on all types of fabrics like Cotton, Polyester, Denim, Velvet, Canvas, Poplin, Sheeting, Nylon, Non-woven, etc. Medical Use : It can be used for preventing bed sheets, apron, hand gloves and towels from stains and bacteria. Apparel : Water Repellence, finish Staingaurd� finish ,Fregarance finish,water proof coating. Industry Use : Single side and double side PVC coating is provided on industrial belts and conveyors that are then used in food industry. Home Furnishing : It is applicable in a wide range of Home Furnishing items- vertical and horizontal roller blind, table tops, curtains, sofa covers, etc. Fabric-To-Fabric Bonding : We can bond woven, knitted and non-woven fabrics with any other fabric like polyester, cotton, linen, nylon, silk, jute etc. The bonding provided by us does not change the feel and look of the fabric. Defence Purpose : Various coatings like PU coating, Water Repellent coating, Fire retardant coating, PVC coating, etc. are used for various purposes like camouflage, parachutes, underline trenches, tents, etc. Rain Wear & Umbrella : We can coat Polyester or Nylon fabric with PU and PVC to ensure excellent water proof surface. Black Out for Curtains : Our Blackout Coating ensures total black out in the room.